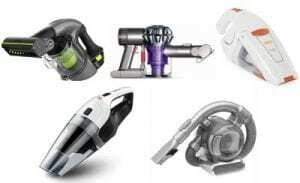 Vacuum cleaners help you keep your house clean, but every so often vacuums need to be cleaned as well. 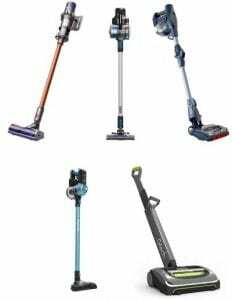 Vacuums have several parts and sections and you need to clean these separately and at different frequencies. 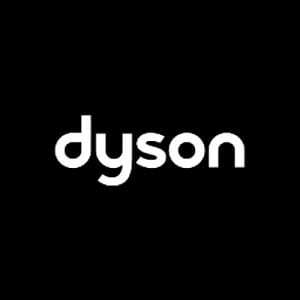 So, if you’ve got a bagless vacuum cleaner, then the dust container needs to be emptied after every clean and cleaned at least once a month to ensure it doesn’t start stinking and stays free of clogs. The air filter in the vacuum cleaner also needs to be cleaned at regular intervals to ensure that its performance remains optimal. Similarly, the vacuum hose needs regular cleaning as well. One of the most common reasons to regularly clean the vacuum cleaner hose is to prevent clogging. Debris often gets stuck inside the hose and reduces the suction power of the vacuum, which lowers the efficiency of the vacuum. Most people wait till a clog shows up before cleaning the hose. Ideally, you should clean it once every month to ensure it remains clog-free and fresh. Before you can get down to cleaning the hose thoroughly, you first have to check for and remove any clogs inside it. So, detach the hose from the vacuum cleaner and lay it in a straight line on a table. Check inside the hose to identify any clumps that may be blocking it. If there’s a clog, then use a long metal wire or a straightened out hanger to remove it. Make sure that one end of the wire hanger is curved, enabling you to pull out the debris that’s blocking the hose. Since the hose is made of flexible material, be careful while clearing the clog as the pointy end of the wire hanger might tear or puncture it. Even after clearing any and all clumps of debris that might have been clogging the hose, residual dust will remain stuck inside the hose. Insert a long feather duster into the hose and twirl it around to loosen the dust and then pull out the duster to clean the dust. If you don’t have a feather duster readily available, you can use a broom. If you’ve got a stopper in the kitchen sink, then you can use that. Fill the sink or tub, as may be the case, with warm water. Make sure that the water is warm and not burning hot. Add a teaspoon of bleach and a drop or two of liquid dishwashing soap in the water. Put on a pair of sturdy kitchen gloves and wash the hose in this water thoroughly. You can use a cloth to rub the hose if required. When you’re done cleaning the exterior surface of the hose, drain the water from the sink or tub. Now hold the hose in a ‘U’ shape under a running tap and let water enter the hose from one end and turn off the tap when the hose is a little over half full. Shake it to clean and rinse the interior surface of the vacuum hose, then release the water. Repeat this a couple of times to thoroughly clean the inner surface of the hose. The vacuum cleaner hose is now clean, but it also needs to be sanitised to ensure that no stubborn allergens or bacteria are stuck in it. For this, you can use the feather duster or broom, just like before. However, in this case, you have to wrap paper towels around the length of the duster or broom and tape it at the end to ensure it stays in place. In a cup of lukewarm water mix two teaspoons of white vinegar. Using a paintbrush, apply this solution on the paper towels and lightly soak them. Insert the duster or broom into the hose to clean the inner surface of it and kill any germs or bacteria still present inside. Vinegar is effective in removing not only germs but also any unpleasant odours. Let the vinegar dry and then rinse the hose under running tap water. Once the entire cleaning process is over, hang the hose in the bathroom and let it dry before attaching it to the vacuum cleaner. There’s an air passageway at the point where the hose is connected to the vacuum cleaner’s body. If the hose is clogged, there’s a good chance that certain debris has entered this air passageway as well and possibly further into the vacuum cleaner. Hence, when you discover a clog in the hose, you need to check for clogs in other parts of the vacuum as well. A drop in performance or suction power is a clear indication that there’s a clog inside the vacuum. However, ideally, you should check for clogs regularly to ensure the vacuum cleaner continues to perform at its optimal level. Upright vacuum cleaners have something called a wand, which is used to manoeuver it. 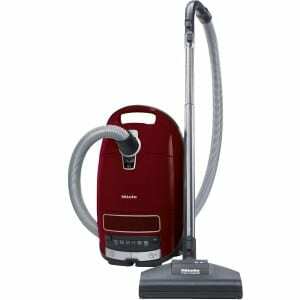 These vacuum cleaners also have cylindrical extension wands and multiple attachments to clean different surfaces. The primary wand and the extension wands can also get clogged and the process of cleaning them is somewhat similar. However, unlike a plastic or rubber hose, the wands are rigid and can’t be washed inside a sink or tub. They’re also thinner, so you won’t be able to insert a regular duster or broom in it. You will have to keep a sturdy stick or rod handy to remove debris stuck inside the wand. Finally, cleaning the vacuum cleaner hose regularly is just as important as cleaning the air filter or the floorhead. The performance of the vacuum cleaner is equally dependent on the hose being free of dirt and being clean. All dust and debris pass through the hose first, so allergens, germs and bacteria get stuck inside, which need to be thoroughly cleaned. Allergens can cause respiratory issues and asthma. Regularly cleaning the hose also ensures that no unpleasant odour remains in it.